About the speaker: Gráinne Conole is a consultant and visiting professor at Dublin City University. She has worked at the Universities of Bath Spa, Bristol, Leicester, OU and Southampton. Her research interests are on the use of technologies for learning, including Open Educational Resources (OER) and Massive Open Online Courses (MOOCs), new approaches to designing for learning, e-pedagogies, and social media. She has an HEA National Teaching Fellowship and fellow of EDEN and ASCILITE. She has published and presented over 1000 talks, workshops and articles. She is engaged in a range of learning innovation and research and consultancy activities, including: giving keynotes and workshops, developing a MOOC on digital literacies, undertaking a trends analysis of the use of digital technologies for low-skilled and/or low-literate users for UNESCO, and acting as a visiting professor at DCU with their National Institute for Digital Learning (NIDL). Consultancies in the last year have included work for: Teagasc, the Open University Australia, Dublin City University, the Malaysian Multimedia University, Waterford Institute of Technology, Mary Immaculate College (Limerick), Politeknik Brunei, Aarhus University, University of Ljubljana, University of Strathclyde, University of Geneva, EADTU in Vilnius, University of Suffolk, UNESCO, the University of Rwanda, CLICKS (a training organisation in Dubai), the Royal College of Surgeons in Ireland, University of Ljubljana and the University of Geneva. Recent presentations include keynotes and workshops in: Russia, Singapore, Australia, Denmark and Sweden. She recently completed a major evaluation of the In-Service Training programme for Teagasc – the Irish food and agricultural professional body, an Horizon scanning report for the Open University of Australia, and the development of an Open and Distance e-Learning strategy for the University of Rwanda. She also evaluated a course design and curriculum mapping initiative at Charles Sturt University in Australia. She regularly blogs at http://e4innovation.com and see http://e4innovation.co.uk for more details. Abstract: Working with maker spaces is built upon the foundation of constructionism and provides students with space to be creative. The background of these ideas comes from “the philosophy of hands-on learning through building things.” The builders will learn and teach each other while the actual “teacher” gives the tool and suggestions for what is being built. Ideally “the line between learner and instructor becomes blurred. The teacher is not the only one teaching to the students, soon they should be teaching each other and learning from one another. When completing specific tasks, groups will often reflect on the impact of constructing and designing a group project while multiple individual models and backgrounds are combined in a type of social influence. Students are often expected to establish connections and share knowledge in group collaborative work. Many times groups gather and discuss ideas without really making connections with each other’s ideas. Finding ways to enhance social construction is important toward total participation. Objects can provide an atmosphere of sharing as well as an introduction to these new ideas. Collaboration tools can be used to help ensure that each member contributes using various objects found in a maker common area. This community building process and adaptation will increase group formation and clarification. About the speaker: Dr. Taricani, Associate Professor in Communication Arts and Sciences at the Pennsylvania State University, joined the faculty in 2000 She received her Ph.D. in Instructional Systems specializing in learning environments and cognitive structures with a supporting field of communication. She has also taught graduate courses in education at George Mason University. Dr. Taricani has been teaching at Penn State for the past 18 years in a variety of courses. Past and present professional service includes Board of Directors of the American Communication Association; President of the American Communication Association. She has served on the EdMedia Executive Committee since 2016. 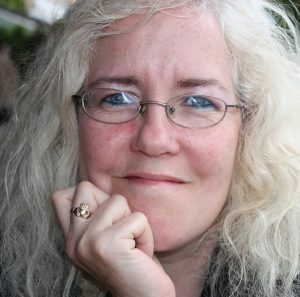 Taricani has served as an reviewer for the American Communication Journal, the Media Psychology Journal, the Journal of Applied Communication, and the Journal of Computing in Higher Education http://personal.psu.edu/ext2/.